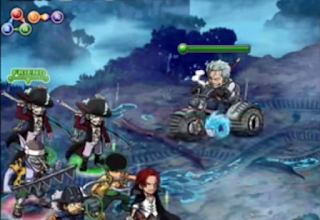 Smoker is about to ride in with his 5-Star Biker Form. 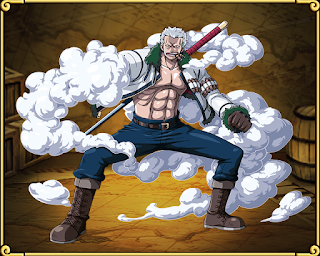 The legendary Biker Smoker is the final evolution form and will not drop from this Fortnight. You will have to attain a level 99 Smoker, The White Hunter (4-Star Form) then evolve him as per normal. Smoker is available from this island. This is vital and essential if you have a Smoker and you want to level up his special. 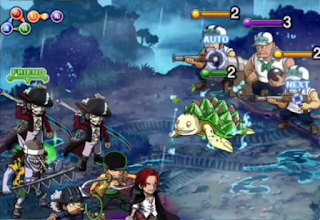 With turtles and Smoker drops, you should be able to level up their Smoker to 99 quite easily. 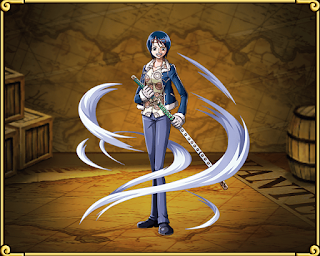 Tashigi is also available from this island. An interesting Speed Slasher if you lack one. It's good to farm one as Speed units (especially decent ones) are fairly hard to come by. Feel free to hold on to Tashigi to skill her up. 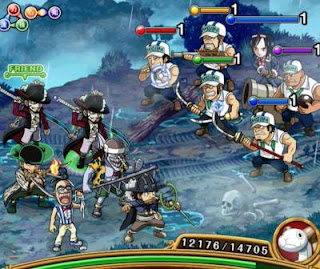 The following covers the individual stages of Smoker's Island 30 Stamina (Expert Edition). Begins with 1-Turn before he attacks. 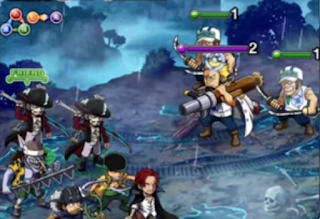 Smoker will deal 4,020 damage on this attack. 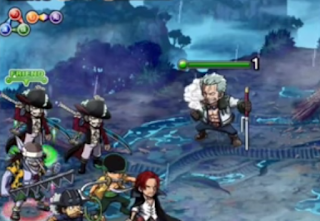 After this attack, Smoker goes on a 3-turn attack interval. Nothing special - you shouldn't have too much trouble. An interesting stage. Clear the mobs + seahorse first then deal with the crab and turtle. This will be your last chance to stall if you need any specials up. He will pre-emptively lock your Captain for 4 turns and attack you for 6,310 damage. 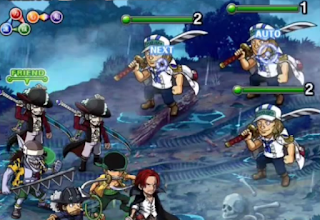 Since your Captain is locked, your Captain Skill is temporarily be disabled!! He will attack every 3 turns from that point. 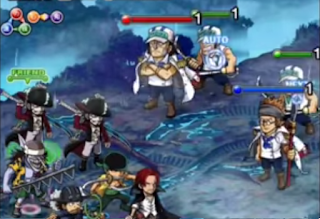 If his health drops to 20% or below, he will lock both Captains for 3 turns. So ensure that you burst him down or have a painful time trying to finish him off. you need 6000 HP after debuff though. Now your favorite Question. 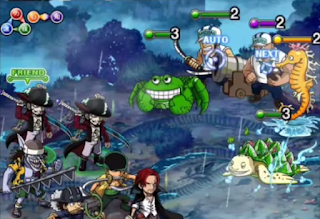 Is it Vivi+ Laboon able? By the way. You can't get the Biker Smoker as a Drop.